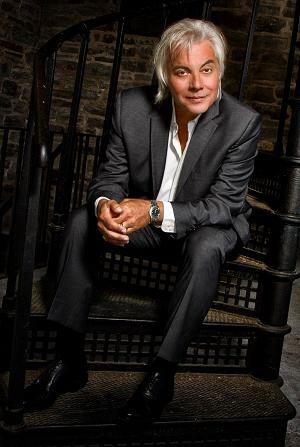 Rock star, guitar virtuoso, polished jazz singer, romantic balladeer, theatre stage actor, guest performer with the Thunder Bay Symphony Orchestra, Alfie Zappacosta has been justly promoted as a musical chameleon. Change in vision is unavoidable in a career that now spans 40 years. The salient point is that it's his vision. And, the integrity of that vision is what matters most to Zappacosta. Alfredo Peter Zappacosta was born in 1953 in the village of Sora, an hour's drive south of Rome, Italy. His arrival in Canada at Halifax's Pier 21 six months later was inauspicious. "I know I had oranges," he says, "and I was allergic to them and got hives." The family moved to Toronto where Zappacosta decided in his teens on a career in music. After the requisite performances at Italian weddings and in pseudo disco groups, Zappacosta came to prominence in the late 1970s and early 1980s as the frontman for a five-piece, pop/rock band called Surrender. They issued two albums but a third was canned by Capitol Records executives who were uncertain about its appeal to an American audience. Unhappy with this turn of events, Zappacosta reworked the music. Released in 1984 as a self-titled album under his surname, it produced two gold singles and earned Zappacosta a Juno for Most Promising Male Vocalist. A to Z (1986), his second consecutive gold album, won a Juno for Album of the Year and included more hits. When his song, Overload, was included on the multi-platinum selling soundtrack for the motion picture Dirty Dancing, "Zappacosta" became a household name and king of the Canadian pop charts. Toronto named a street after him and he starred in an episode of Walt Disney's Danger Bay titled "Rock Star" written specifically for him. "It's not a lot of people that can say they saved a baby shark," he comments about the story line. Ever resilient and looking to reinvent himself, Zappacosta took time off after his third album Quick!…Don't Ask Questions (1990) to improve his vocal and guitar skills and to pursue acting in musical theatre. "I wouldn't want to put on the spandex," he says referring to contemporaries who never progress beyond verbatim renditions of past achievements. Rising to the challenge of singing Andrew Lloyd Webber, Zappacosta portrayed the title character in Jesus Christ Superstar and Che Guevara in Evita. He also took on the lead role in the hit stage musical Hair. It was while on the road with Jesus Christ Superstar that he fell in love with Edmonton, Alberta where he and his family have lived for more than twenty years. "We came out here and never looked back," he says. "It's been wonderful." Zappacosta currently counts a dozen entries in his discography the latest of which is No Avoiding Clichés. His indelible trademarks are his versatility and his insistence on "doing it his way." Whether he's the venue rocker or the sophisticated club showman, his rich baritone, intimacy of performance and the romantic Italian are always front and centre.